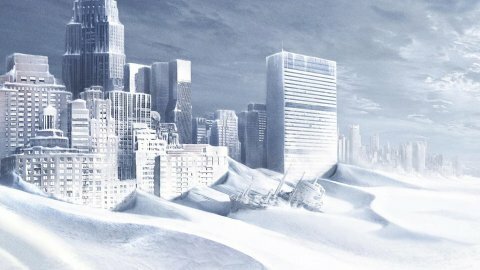 A terrifying new concept has recently reemerged in the global climatology fight and the clarion call is heralded by a book that Zombie just read: The Weather Conspiracy: The Coming of the New Ice Age. So, let me get this straight… In the 1970’s, we were all going to freeze to death in a new ice age. In the 2000’s, we were going to be baked alive because of global warming. Now – old is new again and we are going to freeze to death once more. Oh, for crap’s sake, make up your minds, why don’t ya? More death, death, doom and death. How trite. In general embrace all environmental causes. In order to weaken and eventually destroy the existing industrialized nations, we must devise an ecological “crisis” so severe that only voluntary economic suicide can solve it; and if this first crisis doesn’t materialize as planned, then devise another, and another, even if they flatly contradict our previous claims. These elitists will not stop until they have a crisis that we all must submit to so they can have their way with us and grab the power and fortune they have dreamed of, while putting the riffraff worldwide in their place as subjugates once and for all. A New World Order of slaves and a ruling class – ride the Wayback Machine to medieval times, only on steroids with a heaping side of eugenics for all. Read Zombie’s latest: The Coming of the New Ice Age: End of the Global Warming Era? Bad dreams in the night of a purposely created disaster/emergency to force Americans to their knees, haunts me on a nightly basis. You can only look at evil so long before it takes its toll. ‘to force Americans to their knees’ … & that is the point. This is in God’s hands now, & many of us are on our knees. Figure out who put up “The Georgia Guidestones,” then start guessing what large government programs will bring the human population on the planet from nearly 7 billion to five hundred million. Pretty much all of them as near as I can tell.